The Irish Ambassador Paul Sherlock, Second Secretary Robert Hull, Wil Byrne of AG2 and the DLRS team. 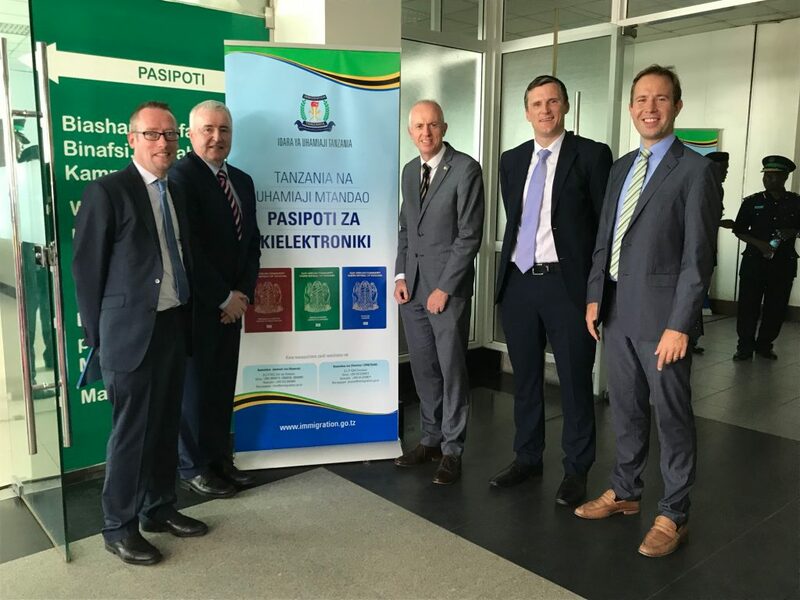 AG2’s Wil Byrne was one of the guests at the launch of the new ePassport for Tanzania on Wednesday 31st of January. Wil was the lead designer on the project with DLRS Group delivering book production. Both Wil and DLRS were part of the HID Global team that delivered a cutting edge eTravel solution that will provide smoother travel and improved border security for Tanzania.